Eastern and Western medicine have so much to offer to our health and well-being, as well as contributing to longevity. There have been great strides in recent years to integrate the two. It can be looked at as one of the greatest developments of our times in terms of true healing. Treating the whole person is one of the central ideas. The recognition that our own bodies work together as a system and that we must treat the whole to heal any part of ourselves is finally becoming accepted. The belief in chi (life force or energy) is now recognized as part of the healing. The Chinese have known this for centuries. We have a unique doctor, Dr. Leon Chen of St. Charles, whose deep knowledge and experience brings healing and a state of wellness by combining these two modalitie. I met the doctor at his clinic, in what is appropriately called the East West Healing Center in Lombard. My first impression was that I had never met a more humble or gracious man. My former background as a pharmaceutical rep did not prepare me for this. He came into the waiting room and urged me to get comfortable while offering to brew me a cup of tea. We have all sat in doctor's offices for long periods of time, and has anyone ever had a doctor who even comes out to say hello? I asked him why he left a prestigious career in China to come to America, and he answered, "I was married and had a daughter, and I wanted her to have a better life, and my wife had family here, so we came." He candidly told me that they have since divorced but that he still has a very close relationship with his daughter. He showed me the books he has written and a picture of his new wife and stepchildren. The zeal for his work and passion for helping others is very appealing and touching. Dr. Chen has one of those smiles that is so genuine you automatically want to smile back. His manner is sweet and funny. ! He's small in stature, but there is definitely a sense of a quietly powerful personality. His patients and friends say a lot of positive things about him, but the most often repeated words are "You can't help but love him." Dr. Chen has published 23 medical papers and four medical books, on subjects ranging from orthopedic diagnostic methods to bone setting and joint disorders. There is not enough space in this article to do justice to his incredible credentials, so here are just a few highlights: He was a professor in China at a prestigious university and greatly respected by his countrymen. He was a doctor specializing in orthopedics, including surgery. This could have developed into lot of ego in some people, but not so with Dr. Chen. He spends a lot of time being fully human and humble. We use to call it bedside manner. What it really means is listening intently and spending time with each patient, laughing and talking. Healing begins with just that. The doctor has patented many medicines. One of them is an herbal paste to stop pain and reduce swelling. Many patients believe it to be very effective. Chinese medicine is extremely evolved at the clinic. Some of the herbs are not available in the United States and have to be shipped from China and prepared in his office. His bio is so impressive. He has been invited to speak at symposiums all over the world. 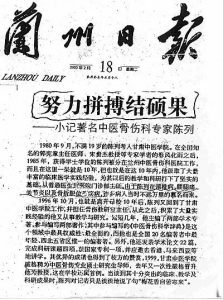 A newspaper in China described him as a famous expert in traditional Chinese medicine, orthopedics and traumatology. He incorporates acupuncture, modern and traditional herbal medicine and Tui Na techniques, as well as X-rays, blood tests and MRI technology. There are ongoing classes at the clinic in Qi Gong to help support healing and the cultivation of self-awareness. In conclusion, we have many special people living in our midst, and I am really glad to know another one. Stefanie Mack was desperate to become pregnant. After taking fertility drugs for nearly nine months, she experienced a miscarriage in 2007. “It’s such a heartbreaking thing,” Mack said. The Carpentersville resident and her husband Jeff were hopeless. But about four months after losing the baby, the couple took the advice of Jeff’s mother and made an appointment with Dr. Leon Chen, a licensed acupuncturist and Naperville resident who is the director of East West Healing Center, which has locations in Lombard, Chicago and Glenview. “To not get pregnant feels horrible,” Mack said. “[Getting acupuncture treatment] was a last result for me. Looking back, it should have been a first call.” Chen treated Mack three or four times, with sessions that included acupuncture and the prescription of Chinese herbs. Mack said Chen inserted thin, solid needles into specific acupuncture points on her body, including areas on her ankles, arms, stomach and head, to open the body’s channels and help hormone balance. After about two months of treatment, Mack discovered the greatest news of her life. “I took a pregnancy test. I looked at the test, and it was positive,” Mack said. “My whole body went numb for a minute.” Mack, who gave birth to her son Logan in April 2008, credits her conception to Chen’s treatments. While she no longer sees Chen for acupuncture treatment, Mack occasionally mails photos of Logan to Chen’s office. And it seems no doctor could be prouder of his patient than Chen, who—in the middle of talking about his practice—jolted up from his doctor’s stool and snatched a photo of Logan to boastfully show off. Chen said he has treated three women including Mack for infertility who have also conceived. Chen, who has nearly 25 years of experience in the medical field, graduated medical school and became a licensed orthopedic surgeon in China. He opened his first office in Lombard in 2004 and said he combines Eastern and Western medicine in his education, theory and practice of traditional Chinese medicine and orthopedics. 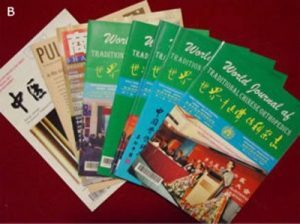 Traditional Chinese medicine includes acupuncture treatment, Chinese herbs and Tuina, which is Asian bodywork therapy that utilizes massage and adjustment techniques. “When I came here seven years ago, a lot of people didn’t know Chinese medicine in Chicago,” Chen said. “In China, a lot of people drink herbs, but in the U.S., people use pills.” When treating a patient, Chen checks the individual’s recent blood work, CT scans or X-rays—which is more of a Western medical approach. He also uses an Eastern approach by checking a patient’s pulse and tongue color. “In Chinese medicine, the tongue will tell you a lot of information,” he said, adding that the tongue can signify if a patient’s energy is low or if he or she may have a cold. Depending on the patient’s ailments, Chen may prescribe painkillers, herb pills or his patented herb paste for swollen and acute injuries. “I think any kind of medicine cannot treat the whole disease,” he said. Chen said acupuncture can relieve pain and inflammation from arthritis and tendonitis. Individuals with a herniated disc and athletes with acute injuries also can benefit from treatment. Chen recalled a 93-year-old patient who, for about a year, has visited his office every other week for knee pain relief. “He first came in with a walker,” Chen said. “Now he comes in with a cane.” Chen also said acupuncture can help with migraine and headache relief, digestion problems and weight loss. Patients have also visited Chen to quit smoking. Lying on the acupuncture table as Chen found her acupuncture points, patient Ari Mills of St. Charles said she first received treatment to help relieve menopausal symptoms. She said within two weeks of treatment, her hot flashes went away. “In two weeks—it was amazing,” Mills said. Five years later, Mills continues to see Chen for sinus infections as well as low-back and hip pain. “I’ve done [acupuncture] for a very serious cold,” Mills said. “I can’t even explain it. I immediately feel better. I don’t have to take any medicine. I used to go to my doctor to get antibiotics—a few weeks later, I’d get [the cold] again.” Mills said her husband visits Chen to treat his high blood pressure, and her mother receives treatment for fibromyalgia, which includes symptoms like pain throughout the body, especially in joints and muscles. Chen said the average patient will start to experience improvements in about two treatments, and after about four to six weeks, the patient should feel much better. Many patients continue to see Chen for monthly maintenance visits. He said an average visit is between $60 and $90, depending on the treatment. East West Healing Center offers a package of 10 treatments for $600, and Chen said patients should contact their insurance provider to see if treatments are covered. The stress case: Most of the time, Dan Rybicky, 41, is a dynamic guy. But the voluble Columbia film prof’s characteristic verve drains out of him each winter. “When it gets dark out and colder, I lose energy,” he says. “In the winter, all I want to do is sleep. I’ve noticed it especially in the last three to four years.” The holistic treatment Dr. Leon Chen recommended a combination of acupuncture and tui na. Tui na is a traditional Chinese manipulation treatment that combines massage and acupressure, but unlike massage, which works only muscle, tui na also works soft tissue (such as tendons and ligaments), with a focus on points on the body that affect the flow of qi (pronounced “chee”), or vital energy. A main goal of tui na, according to Chen, is to balance the body’s energy and improve blood circulation. The combined treatment can help SAD by counteracting the lethargy that winter brings. Chen’s office at Wellness Associates of Chicago is comfortingly unfussy: “There’s no spa feeling; it definitely felt like a meat-and-potatoes, old-school office,” Rybicky notes. After discussing details of Rybicky’s SAD, Chen had him lie, fully clothed, on a treatment table. “[Dr. Chen] said, ‘You need to breathe deeper; that’s what we’re going to try to do, unblock the lungs so you breathe deeper,’ ” Rybicky recounts. Chen put needles in Rybicky’s forehead, arms and ankles. Then he left the room for about 30 minutes and let the needles do their work. “I really went out,” Rybicky says. “I had one of those ‘I’m in the middle of a waking dream’ kind of feelings. Thirty minutes could’ve been four hours. When he came back in the room, I felt like my body had definitely gone through something.” Chen returned and performed the tui na part of the treatment, which involved pressing and rubbing Rybicky’s fingers, arms and the back of his head and neck. Dr. Leon Chen can tell what's wrong with his clients by looking at their tongue and checking their pulse. The doctor said the tongue is a road map to the body. He can determine countless ailments through the color, size and texture of the tongue. Coupled with an analysis of the mouth, he also uses three fingers on each wrist of his patient to take the pulse to better read what's wrong. He asks his clients not to tell him what the problem is, that he will figure it out using these methods. Depression, high blood pressure, insomnia, neck pain and other ailments are common complaints. Chen recently launched the East West Healing Center at 929 S. Main Street, Suite 103, in Lombard. He offers a blend of Eastern and Western medical practices. He uses acupuncture and herbs for the treatment of many conditions from rheumatoid arthritis, osteoporosis and gynecological ailments. Chen, a resident of St. Charles, studied medicine and worked in Chinese hospitals until about two years ago. He was chief doctor and department head at Gansu Province Lanzhou Chinese Medicine Orthopedics and Traumatology Hospital. He is licensed to do orthopedic surgery in China. He has written textbooks and holds patents for herbal applications. Since starting his practice here, he has seen a great deal of interest in alternative medicine. He finds that many insurance companies are even realizing the benefits. Several companies now approve acupuncture treatment. "In California and New York, this is really big. It's just starting here," he said. Practicing with Chen is Robert Wilson, a Chicago native and also a board certified, licensed acupuncturist with a master's degree in Oriental Medicine. The men also use Tui Na manipulation. This is for treatment and injury to bone, muscle, tendon, ligament and joint dislocation, periarthritis of the shoulder and other problems. Chen also teaches DunHuang Buddhist QI Gong, a type of breathing and meditation that promotes self-healing. "It's a cleansing process," Chen said. 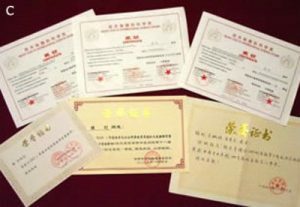 In September, 1980, Chen Lie, at the age of 19, was admitted to Gansu Chinese Medicine Institute and became a student of Guo Xianshang and Song Guijie. The former is quite a well known doctor in charge and the latter is a noted expert and professor. Under their influence, just like a spring breeze, in 1985, Chen Lie obtained a bachelor’s degree and was allocated to work in the Lanzhou Bone Wound Hospital where he worked for 10 years. In 10 years he derived rich clinical experience in large quantity and did massive spade work for his subsequent teaching and research. From a common doctor to a director of the out-patient department, because of his scholastic achievements on diseases of the neck, aching hips and legs, arthritis, bone fractures and bone dislocations, many patients, far and wide, admired him. In October, 1996, 10 years after his graduation, Chen Lie went back to Gansu Chinese Medicine Institute and worked there, holding the post of director of the Bone Wound teaching research section. From then on, having accumulated enormous practical experience, he began to engage in teaching and research. 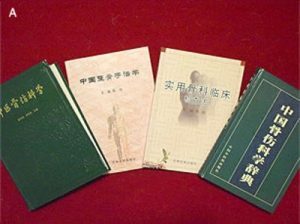 During these years, he finished 2 science monographs and acted as editor-in-chief participated in writing, with 20 other contributors, the most authoritative work of its kind “Chinese Medicine Bone Wound Dictionary”. Of those involved in this effort, Chen Lie was the youngest and only one from northwest China. In addition, he has published 22 essays, finished 4 items of science and study, obtained one patent and was invited to lecture in Hong Kong and Malaysia. His excellent results gained admiration from his entire school. In 1999, his school broke a rule to appoint him to master tutor of Chinese Medicine for Bone Wounds. Last year, his school made another unprecedented exception to promote him to professor. While speaking of his outstanding achievements in clinical, teaching and research, Chen Lie just spoke calmly to the reporter: “Diligence is the mother of good luck”.